We participated in the Tech In Asia Tour 2015 – Road to Tokyo last week. It was again a great event for us! We have gained a lot of experience and have received great feedback from the judges. More importantly though, we have received very great feedback from new users — some have even downloaded swapit right at the spot. Even some more told their loved ones about swapit and those went on downloading swapit. That’s absolutely great! Yesterday was a busy day. The swapit team attended the Tech in Asia Tour 2015 event and I presented to the vetting committee of the British Chamber of Commerce’s Business Angel Programme. Let’s reflect a bit on the experience of those events and especially the feedback we received about swapit. Comprised of some of Hong Kong’s most active investors (Tytus from Fresco Capital and Simon from Nest.vc, for example) as well as Asia-based investors (Vinnie from Golden Gate Ventures), their panel discussion was interesting. The most interesting part in that panel discussion was the point of: start locally, but expand globally. That’s exactly what we are planning with swapit. We are absolutely aware of the fact that launching swapit in Hong Kong will not be enough in the long run. However, it is important to get our home market right and be the absolute market leader in this field here. It was great to see some established startups like Notey as well as brand new ones to pitch their ideas to the panel of judges. Some pitches were great, others were hard to listen to could improve their pitch, but even others started slow and then peeked my interest during their pitch. Like Cafe X for example. While I personally believe their approach might be challenging to turn into a profitable and widespread business, I still find the combination between hardware & software, and the goal of making our lives more efficient, very interesting. This Hong Kong “Tech in Asia Tour” event was one of several all across Asia to gather startups to join the main conference in Singapore in early May this year. I just wonder why startups from other countries, like Japan for example, were pitching there even though they have their very own Tour event in Tokyo. Of course we had applied to pitch at the event as well, but we were not accepted. I am still trying to get feedback as to why we had not been accepted, but haven’t received any such yet. Perhaps we should apply for the Tokyo event? Anyhow, at the same time, we took this opportunity to talk to other guests at the event. We were interested in people’s first reaction to swapit and our approach to buying and selling pre-loved items. 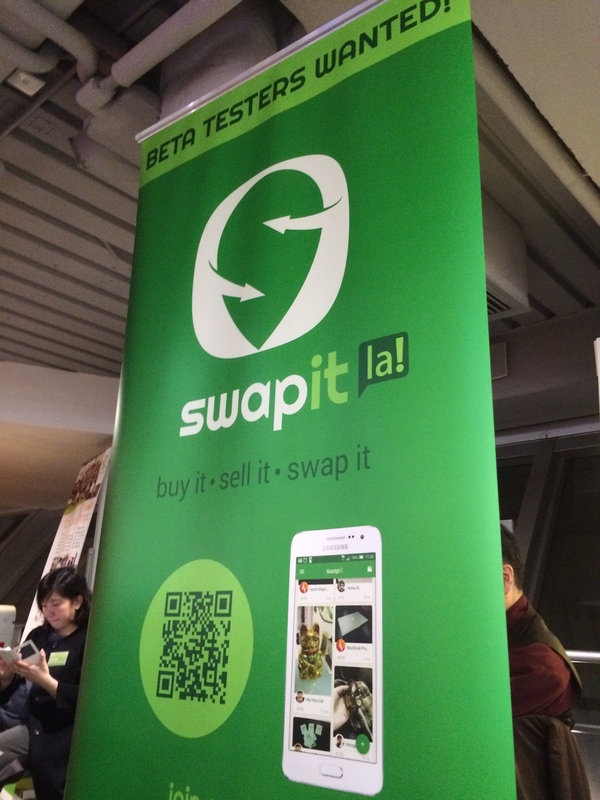 Furthermore, we were looking to recruit more beta testers for our beta 3 of swapit which will launch soon! Remember: After the beta is before the beta! Earlier that day, I was invited to pitch swapit to the vetting committee of the British Chamber of Commerce’s Business Angel Programme. That was a very interesting experience. I really can’t emphasize this enough: MAKE MONEY. Obviously, we have a plan moving forward in how we want to recover our development costs and build a profitable business out of swapit. We are absolutely sure that monetization is an important part of our business. At the moment, though, we are focusing on creating the best user experience for our users. Thus, we have not finalized any monetization plans yet, but we have ideas around 4 different ways of monetizing swapit – eventually. The one main approach that I find most interesting is to charge a commission on higher priced items. 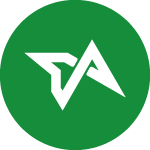 Especially, as we are not looking at integrating any payment solutions into our app — in the foreseeable future — we don’t have a transaction occurring inside our app and therefore, it is hard to charge that commission to the user. In the end, we are only in beta 2 of swapit and our plan going forward in the near future contains analysis and feedback from our beta testers in terms of how they are comfortable with paying for our service. That was obviously, a point the vetting committee grilled me on. And they are right! We need to find a way to monetize swapit and lock down a commercialization model that is predictable and scalable. Otherwise, we won’t be able to convince any investor to trust us with their money and generate value for them. The second point the vetting committee pointed out is: How can we convince users of other free services (Facebook groups, Asiaxpat, Geoexpat, Yahooo! forums, Craigslist etc.) to move away from what they are using right now and use swapit instead. It’s a valid question. I thought, I had pointed this out in my presentation already, but obviously, our value proposition was not clear enough on that. Especially, when you combine this question with the commercialization ‘in-limbo’ question earlier — it becomes a challenging issue to tackle. While I believe that our location-based capabilities (find nearby items, navigate to far away ones), immediacy in communication (instant messaging) and ease of use (post just with your phone, incl. taking photos) are some very valid arguments for using swapit instead of old-school forums — they might not be compelling enough to convert those users over to swapit. We do obviously have to work on this value proposition and we will do that. Let’s see what comes out of the vetting process and if we will be invited to the main event that allows us to pitch to the members of the Business Angel Programme of the British Chamber of Commerce in two weeks time. If the issues the vetting committee has pointed out were too much of a concern for them, we are happy to re-apply in their next round. In any case, we will work on those points and we will nail them down to provide a compelling pitch to potential investors.